Need a little furry friend that can give you what you always dreamed of? Well you can't get that, but you can get extra loot and support. 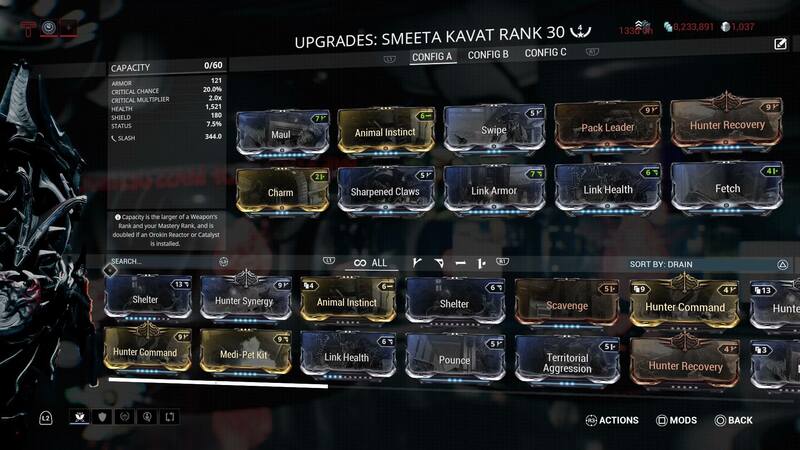 This build offers you a deadly Kavat that not only gives you loot, critical chance, and more, but also gives you health along the way. Trust me, this is useful. 40 year old virgins are wizards.